Residents of South Amboy leave the city on foot as fires and explosions rock the Gillespie shell-loading plant. During the four decades I spent covering the news of Central New Jersey, there were sporadic stories about artillery shells being unearthed up and down the coast in Middlesex and Monmouth counties. 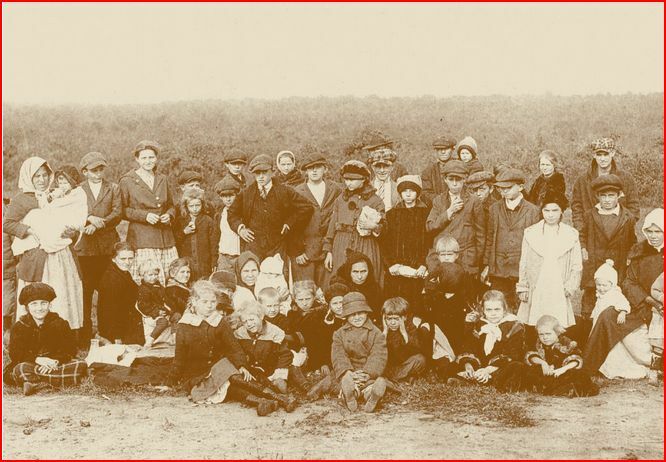 These were the lingering legacy of a catastrophe that occurred in 1918, an event described in Explosion at Morgan: The World War I Middlesex Munitions Disaster by Randall Gabrielan. The title refers to a series of fires and explosions at the T.A. Gillespie Loading Co., a shell-loading operation, on October 4 and 5, 1918 — just a few weeks before the end of World War I. The loading of shells required the handling and processing of huge amounts of TNT and ammonium nitrate, which were combined and heated to produce amatol, a highly explosive material. There is no certainty as to what sparked the calamity, but Gabrielan writes that the first explosion probably occurred in a kettle in which 2,600 pounds of amatol was being brewed. People displaced by the explosions congregate in Perth Amboy. Once the trouble started, it spread into chaos, with fires raging and shells flying in all directions. The concussions caused property damage over a wide area surrounding the plant, but particularly in the City of South Amboy, where virtually every window was broken. 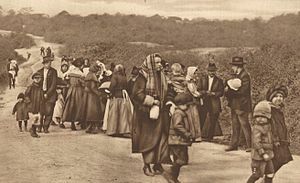 People started fleeing the city simply out of fright, but eventually authorities ordered an evacuation. There were at least 100 people killed in the plant, although the actual total is not known because some of the victims were vaporized in the explosions. Gabrielan also reports that there were about 150 injuries. This book is carefully researched and precisely written, and its value is not only in its reconstruction of the Gillespie disaster, but in putting both the Gillespie plant itself and the explosions in the wider context of the history of that time. Gabrielan points out that, despite the occasional recovery of a shell, the dramatic and destructive incident has largely faded from the collective memory of the community that was affected by it. 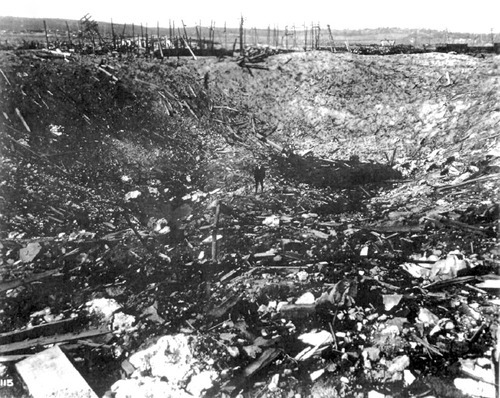 One of the large craters created by the explosions at the Gillespie plant. If you look carefully you can see a man standing in the chasm. Quite a compelling tale. The presence of ammonium nitrate jumped out at me, as the substance was responsible for another terrible explosion, the Texas City disaster of 1947. I also was struck by the author’s point that “the dramatic and destructive incident has largely faded from the collective memory of the community that was affected by it.” I couldn’t help but think of the tale of the Japanese who heeded their ancestors’ warnings prior to the tsunami of 2011. Bearing messages such as “Do not build your home below this point” or simple advice to seek higher ground after earthquakes, the “tsunami stones” often are ignored in favor of dependence on modern technology.